In the long-term use of PVC lay flat hose, water leakage sometimes occurs, which affects the normal use of PVC lay flat hose. We need to take timely measures to ensure the normal use of PVC lay flat hose, reduce and avoid the occurrence of water leakage. If you want to solve the leakage of PVC lay flat hose, you can cut out some suitable PVC lay flat hose after the break of PVC lay flat hose. The requirement is that the area of the break is larger than that of the break, and then stick it slowly with electric soldering iron, and then you can continue to use it after it is completely dried. If the leak is removed at the joint, cut off the joint, re-dress it, or cut a small piece of old PVC lay flat hose and cover it at the leak. When there is pressure in use, it will support and reduce the leakage. 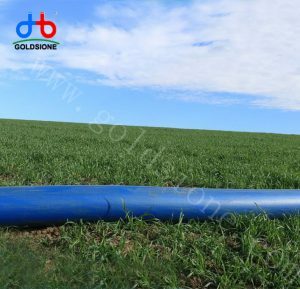 Correctly handling the leakage of PVC lay flat hose can make the use of PVC lay flat hose more effective, and can effectively improve the service life of PVC lay flat hose, which is the product information we should focus on when using this product.